An exhibition of drawings, paintings, prints and videos, along with lesser-known photographic and sculptural works and ephemera from the personal collection of English pop artist Derek Boshier. We are pleased to present works by English pop artist Derek Boshier who first came to prominence as part of the British Pop Art movement in the early 1960s. Boshier is also known for his work with cultural icons such as The Clash and David Bowie. The two exhibitions form part of MOSTYN's continuing 'In Conversation' series which brings together two solo exhibitions and presents the dialogue, collaboration or similarity in exploring themes that can occur between artists. 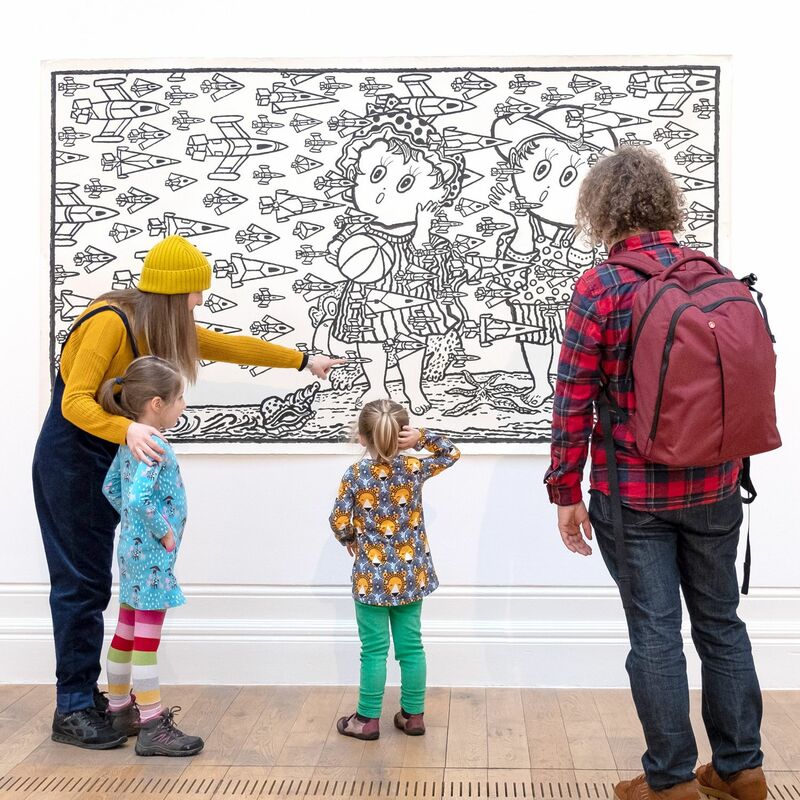 The exhibition is curated by the artist S Mark Gubb, whose exhibition The Last Judgement is showing concurrently, and by Alfredo Cramerotti, MOSTYN Director. To accompany this exhibition, and that of S Mark Gubb shown 'In Conversation', a combined catalogue, funded by the University of Worcester, will be produced containing a new essay by Jonathan Griffin. This exhibition has been made possible thanks to generous support of Colwinston Charitable Trust and the assistance of Gazelli Art House, London.